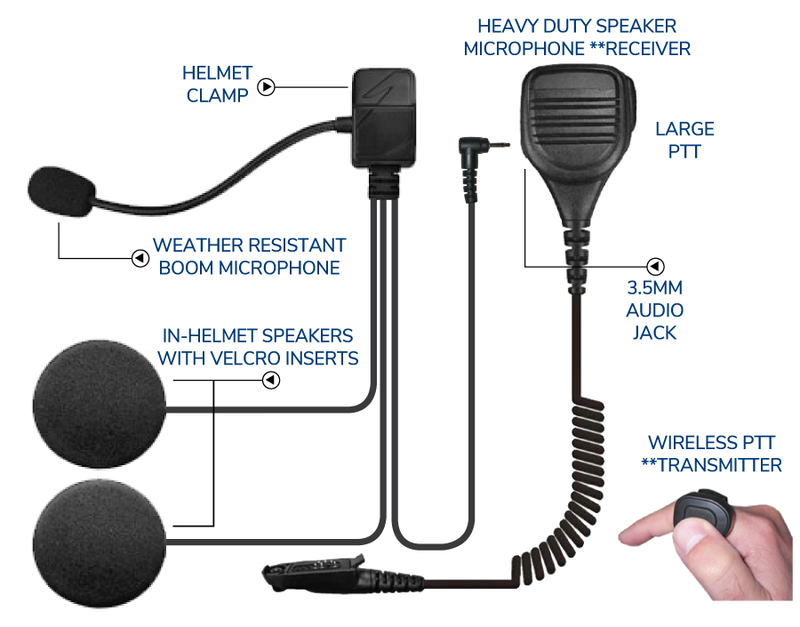 The cutting edge MOTO X with WIRELESS push-to-talk (PTT) allows for rapid transition when dismounting from the motorcycle. No connecting or disconnecting cables. 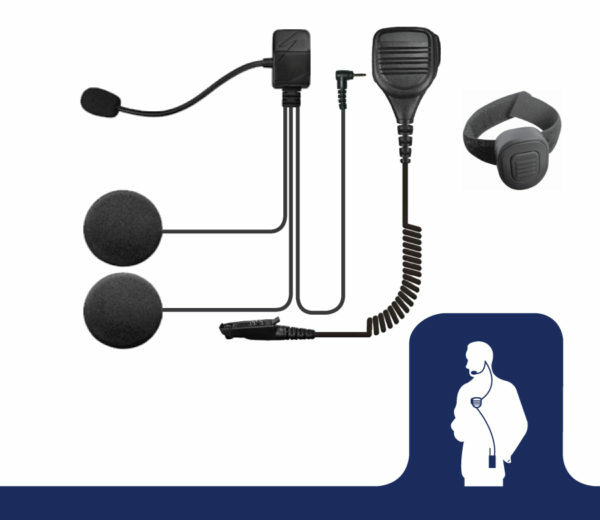 Remove the helmet and use the speaker microphone for traditional communication. Suitable for 3/4 and full face helmets. Loud and robust in-helmet speakers. Heavy duty speaker microphone Receiver. 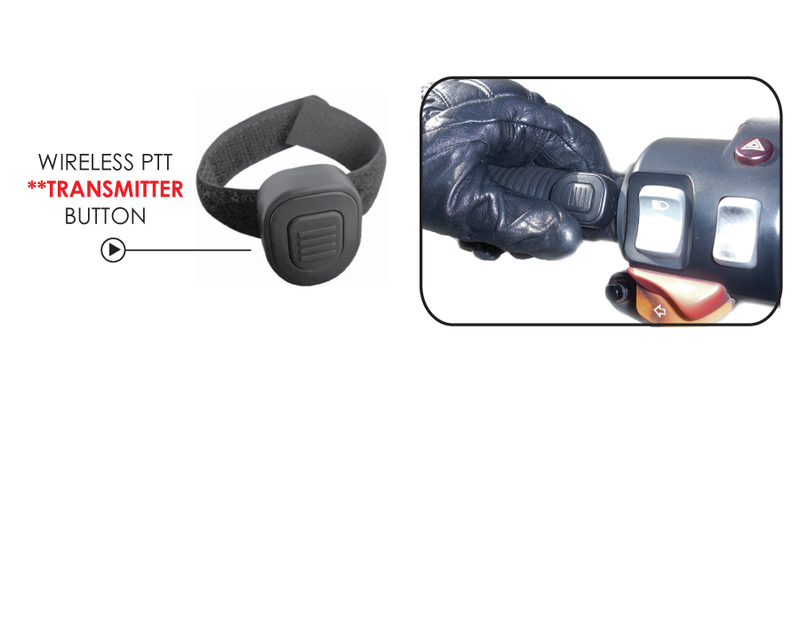 Waterproof wireless handle bar PTT Transmitter button. Learn about the Moto X and all it’s features and benefits.